I don’t think I was a born reader. A born talker (and a bit of a home video camera hog), certainly. A born story-lover, of course, as all children are. The sound of my dad as he read The Little Engine That Could over and over every night is burned into my memory to such a degree that whenever he gets his reading voice on, whether it’s to share the newspaper or a menu, I’m instantly transported back to my childhood. But reading and stories aren’t, as the ancients will tell you, two synonymous things. Reading is a skill that needs cultivation, discipline, and practice, which is something that not all children are equipped to handle. And honestly? I was kind of lazy, at least when it came to anything much longer than a picture book. I wanted zip, sizzle, pizzazz, and other exciting words with lots of z’s in them, not long chapters and complicated plots and too many names – which is, a little ironically, exactly what I complain about people not liking when they pass over my book. 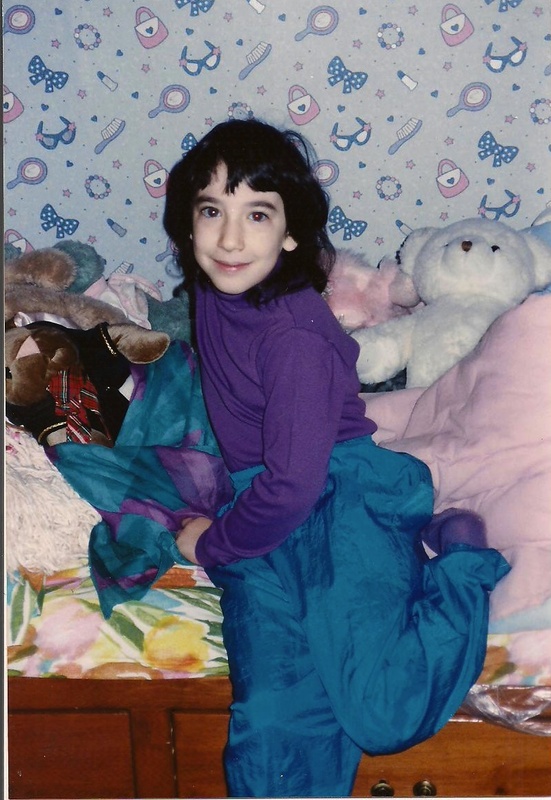 As long as I’m revealing shameful childhood memories…yeah, you gotta love the early 90’s. I remember when I was seven or eight, maybe, I was given some glasses and told to do eye exercises, to correct some problem that may or may not have been imaginary because I, like the nerd that I am, thought glasses were cool and I wanted some. Part of the regimen required doing a daily amount of reading, so my mom set me down on the couch with an abridged version of The Swiss Family Robinson and set a timer for me. I think it’s safe to admit this at this point in my life, especially since my need for glasses is no longer under dispute, that I skipped a lot of those pages. I did. I’m sorry. It wasn’t the most thrilling book in existence, focusing a great deal, even abridged, on basic survival techniques and raising livestock (much like its inspiration, Robinson Crusoe). I did a lot of staring off into space and sneakily flipping a chapter ahead when no one was looking, which helped neither my reading skills nor my vision. And when I enjoyed reading The Hobbit so much that my mom first recommended and then compelled me to try The Fellowship of the Ring? Oh, man. I fought that like crazy, seeing such a big, intimidating volume set before me, required as part of our homeschooling curriculum. I lost that battle, of course. Looking back, I’m extraordinarily glad that I did. I’m a little ashamed to say that I basically skipped the entire Council of Elrond, though, since it was just huge chunks of exposition that bored and confused me, as a 4th grader, to tears. I do remember the first time I reread it in its entirety, and boy, what a difference that made. I actually understood what the hell was going on! Silly girl. Eventually, of course, I grew to love reading as a way to transport me away from the difficulties of my adolescent years. In 7th grade, when I had reentered public school, I fell hard for the Wheel of Time (another tragic mistake I probably shouldn’t confess in public), and was always the weird kid in the corner with the huge doorstop of a paperback, ignoring everything else as I devoured it. That, plus my first complete read of Tolkien, led me to start writing my own stories, and the rest is history – or at least another post. I’m no longer lazy when I read a good book. I read it over and over again, extracting every detail, every nuance of the world presented before me, skipping nothing. I’m fortunate that I did end up developing the habit, although the joys of reading are well-known to anyone visiting my site, and I don’t need to expound upon them further. I guess my bit of parting advice would be to be patient with kids just learning. It’s not always an innate talent, and sometimes it needs a kickstart, but every kid who wants to is certainly capable of getting there and enriching their own story – hopefully with a little less lying to parents about wicked awesome glasses (which turned out, much as I deserved, to be a very ugly pair of plastic old lady frames).